The AlcoMate Premium AL7000 Breathalyzer combines patent-pending Precalibrated Replaceable Sensor Module technology, professional accuracy and modern design into a convenient, easy-to-use alcohol tester. 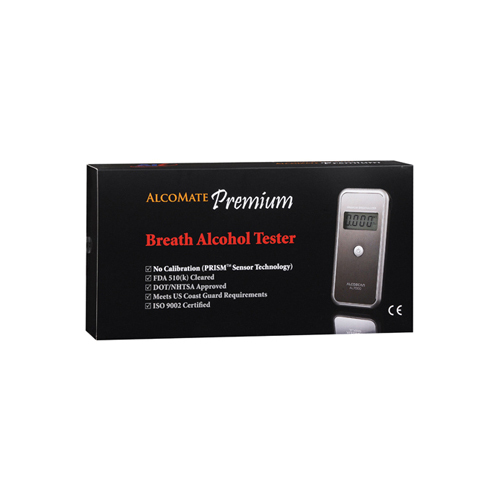 AlcoMate Premium AL7000 Breathalyzer is one alcohol tester that you can’t afford to be without! 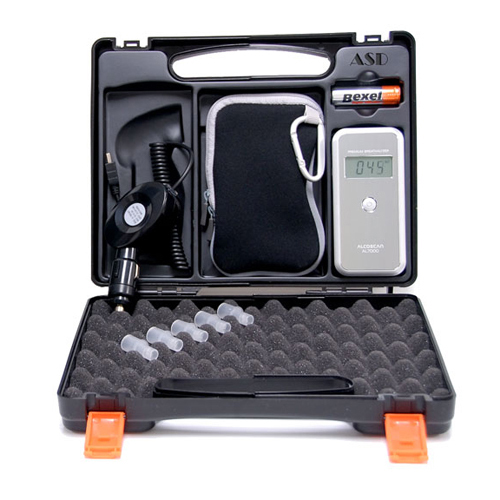 The AL7000 is a professional-grade device and is among the newest generation of portable breathalyzers that offers a sensor module that is pre-calibrated and that can be replaced in the field. The modern ergo designed coupled with precision engineering provides you with a sleek, top of the line device at a price that you can afford. 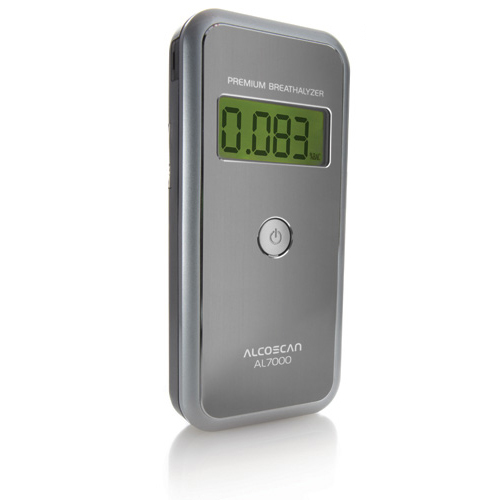 The AlcoMate breathalyzer features a big, easy-to-read display. AlcoMate Premium AL7000 has lots of bells and whistles that make it a real standout in its niche! This premium breathalyzer counts among its biggest advantages the fact that it is field replaceable and has a pre-calibrated sensor module. What’s the big deal about that? Most breathalyzers need re-calibration, and this usually means sending the device back to the manufacturer, which involves waiting and expense. With the AL7000, you simply get a new calibrated sensor and replace the old sensor in the field. It’s that simple. This breathalyzer kit is the most advanced model in the AlcoMate line, and it has everything that is needed to perform a sobriety test. This tester is guaranteed to give you accurate result and can be used by nearly anyone. 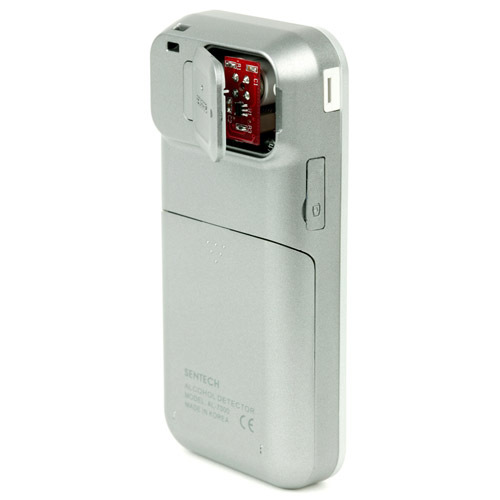 The AL7000 is super effective in the police industry and can be used by anyone to monitor their intoxication level. The AlcoMate Premium AL7000 Breathalyzer features precision engineering with a big four-digit display that has an integrated backlight for ease of use in low-light conditions. The interface of the AL7000 is simplistic and functional, and there are no unnecessary buttons or switches and hidden functions for you to worry about. The clean interface makes it simple for anyone to master. The device uses a DOT-NHTSA-approved advanced sensor replacement module. This eliminates the need to send the unit off for re-calibration. Just pop out the old sensor and pop in a new one to restore the AL7000 to like new shape. The AlcoMate Premium AL7000 Breathalyzer is AlcoMate’s flagship model and offers innovative testing methods in a sleek and slim design. The AL7000 is accurate and reliable and calculates BAC by sampling the breath. BAC is measured down to the thousandth of a percent. The device requires up to forty seconds between measurements and gives off an audible warning beep that prevents erroneous readings. Accuracy of the readings is ensured with a factory-calibrated sensor module. The unit uses very little power for each test and provides many tests for each 2 AA battery change.